Orthopedics is related with the surgery of musculoskeletal system of a human body. It includes both spine surgery and joint replacement surgery. The surgeons at Chirayu Clinic, who are responsible for treating patients suffering from similar problems, take utmost care during the surgery. Generally speaking, the orthopaedic doctors have the option of treating patients through both the methods i.e. surgical method and non-surgical method. Chirayu Hospital is equipped with modern amenities, state of the art technology and adequate infrastructure. This medical treatment center also contains own ambulance service in the case of emergency transfers. Instant support and co-operation is a must for any patient suffering from pain. According to the guidelines of this health care center, entire medical team has to strictly adhere to the rules and regulations created by the authorities. According to the rules, no patient should suffer from pain, and immediate attention should be given to every patient. This rule is applicable on all the employees of hospital, for taking care of every patient that enters inside the premises of this orthopedic center. 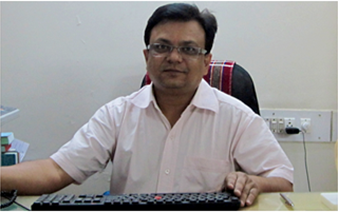 Dr. Amit Jhala (Spine Surgeon) is a highly experienced and senior surgeon at Chirayu Hospital. He completed his MBBS in 1989. Then he gained 3 years of experience as a Resident Doctor from 1990 till 1993. In 1993 he also worked as a Fellow in Orthopaedics for 2 months at Mayo Clinic, which is located in Baroda City of Gujarat State in India. He worked as an Assistant to Professor of Orthopaedics at two different colleges and a paraplegia health clinic. He worked on these positions for around four and half years. Later from 1998 onwards, he began private practice. There are numerous records, experiences, awards, accolades and achievements on the name of Dr. Amit Jhala. He also received Gold Medal for best paper presentation at a conference held by All India Spine Surgeons Association. Dr. Jhala also held several positions of respect and honor in various different associations and clinics. His work experience and achievements are at all levels i.e. Government Level, Private Level and Corporate Level. Currently he is the CEO of Chirayu Spine Hospital and also holds the positions as an Honorable Consulting Spine Surgeon at various different reputed medical facilities of India. Dr. Jhala is the specialist of Spinal Surgery and Spinal Cord Related Treatments. Dr. Manish Mistry (Orthopedic Surgeon) completed his post graduate studies of Master in Surgery in Orthopedics from NHL Medical College of Gujarat University in 1993. All his practices were conducted at V.S. Hospital during his post graduation studies. 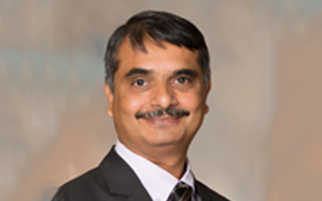 Dr. Mistry took extensive training in advanced trauma care and joint replacements. He is highly skilled and experienced, which is a must for any surgeon to treat his patient with success. The duration of training received by Dr. Manish was 6 years and this training was completed at Ahmedabad City of Gujarat State in India. Later he started private practice in June 1998 at Chirayu Fracture Orthopedic & Spine Clinic which is located in Paldi Area of Ahmedabad City in Gujarat State of India. Dr. Mistry also received further training in 2004 at Hinduja Hospital, which is located in Mumbai City of India. Hinduja is one of the reputed and branded national level health care facilities of India. Later in the year 2008, Dr. Manish gained advanced training at Englewood Orthopedic Associates, which is located in New York, USA. Dr. Mistry is the specialist of Poly Trauma & Complex Fractures such as Intra-Articular Fractures, Pelvic Fractures & Acetabular Fractures. He has achieved several accolades and has treated several patients with success. His records of maximum successful joint replacement surgeries are the true evidence of his achievements. Chirayu Hospital Is A Specialty Hospital With Departments Focused On Spine Surgery And Joint Replacement Surgery.